and the first four chapters of the book. We hope you find this information useful in evaluating the book. 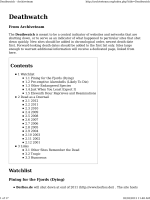 Copyright ' 2003 SitePoint Pty. Ltd.
case of brief quotations embodied in critical articles or reviews. The author and publisher have made every effort to ensure the accuracy of the information herein. However, the information contained in this book is sold without warranty, either express or implied. the software or hardware products described herein. only in an editorial fashion and to the benefit of the trademark owner with no intention of infringement of the trademark. 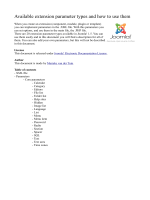 Published by SitePoint Pty. Ltd.
well received tutorials and articles, and editor of the SitePoint Tech Times, an extremely popular technically-oriented newsletter for Web developers. catching up on sleep, Kevin can be found helping other up-and-coming Web developers in the SitePoint Forums. SitePoint is a modern day publisher with a particular focus on Web development. sitepoint.com: Online resource for Web designers and developers. SitePoint Books: Printed books available directly through sitepoint.com. A big part of SitePoint is the Community Forums, located at sitepointforums.com. a central discussion hub for Web professionals worldwide. for making all this possible. files into HTML templates anyway. Windows, and Mac OS X, so don't sweat it. you'll find it will make learning PHP a breeze. (SQL вЂ” the standard language for interacting with relational databases) as supported by MySQL, one of the most popular free database engines available today. your very own database-driven site in no time! need a refresher on a particular topic. test that PHP is operational on your Web server. database to be used in later chapters. relies heavily on the basic concepts presented here. modifying existing information in, a MySQL database on-the-fly. database design, emphasizing the importance of data normalization. If you don't know what that means, then this is definitely an important chapter for you to read! in no time - all without having to know a shred of HTML! content directly into your system for publication, pending an administrator's approval. 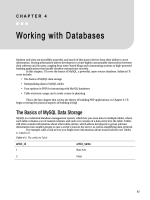 to perform backups of, and manage access to, your MySQL database. that has become damaged in a server crash. sending feedback to your visitors. a long-suffering technology for preserving stored data on the Web? the examples presented in the book. on the book's Website will always have the latest information about known typographical and code errors, and necessary updates for changes to PHP and MySQL. there in my spare hours. up to the Tech Times (and other SitePoint newsletters) at http://www.sitepoint.com/newsletter/. support staff is unable to answer your question, they send it straight to me. And so, without further ado, let's get started! today, but which can be a real headache to maintain if they aren't done right. job. 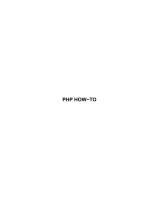 In this first chapter, I'll guide you as you download and set up the two software packages you'll need: PHP and MySQL. Linux and even Mac OS X, as well as Windows. Provides PHP and MySQLвЂќ to make sure your setup is ship shape. as Linux, FreeBSD, and Mac OS X, with the collective name 'Unix'. contain SpeedDial links for Microsoft NetMeeting. and then type regedt32.exe to launch it, in Win9x/ME run regedit.exe instead). where you'll find a list of all the registered file types on the system. Select the .cnf key and choose Edit, Delete from the menu to remove it. Log out and log back in, or restart Windows for the change to take effect. the SpeedDial link icon to my (Windows will maintain the .cnf extension automatically). step is not necessaryвЂ”MySQL will run just fine as-installed. вќ‘ mysqld-max.exe This version is like mysqld-opt, but contains advanced features that support transactions. should see the MySQL server listed as one of the tasks that's active on your system. like creating a short cut to any other program on your system. The MySQL service was started successfully. the CGI binary and the server API versions if you have a choice. for both options in detail. choose another directory if you like. subfolder of your Windows folder (e.g. C:\Windows\System32). Windows folder. Once there, rename it to php.ini. Save the changes you made and close your text editor. Windows XP Home Edition does not come with IIS. repeat this step for each extension. Click OK to close the Application Configuration window. site. You may also want to add entries for index.php3 and index.phtml. on it and choose Restart to restart IIS with the new configuration options. You're done! PHP is installed! to use Apache 2.0, be sure to read the following sidebar. should appear when you start Apache and/or in the Apache error log file. server plug-in modules (such as PHP) that were compiled to work with the previous version. to simply downloading pre-compiled files, the situation is different. Apache 2.0 up to the one that was current at the time that version of PHP was released. current release of PHP will be incompatible until they get around to updating it. about doing this can be found in the PHP bug databasevii. Server, Edit Configuration. This will open the httpd.conf file in Notepad. to php4apache2.dll instead of php4apache.dll. Save your changes and close Notepad. be very similar, if not identical. tempted to download and install packaged distributions of PHP and MySQL. reinstall PHP and MySQL by hand. manager to remove all packages with php or mysql in their names. prompt, and shouldn't be typed in. necessary for you to remove the offending item by hand. Seek help from an experienced user if you don't know how. If the last command runs successfully (i.e. package utility was smart enough to remove them for you. These lines are responsible for telling Apache to load PHP as a plug-in module. adding a hash (#) at the beginning of both lines. packages in the Linux downloads section. Until recently, it used the var subdirectory. is already running on your computer. A little blurb with some statistics about the MySQL server should be displayed. will help you pin it down in no time. again, and try starting it using mysql.server start. This time, it should work. вќ‘ As a CGI program that Apache runs every time it needs to process a PHPenhanced Web page. вќ‘ As an Apache module compiled right into the Apache program. вќ‘ As an Apache module loaded by Apache each time it starts up. launch PHP as a program on your computer every time a PHP page is requested. if more than one request needs to be processed at a time. so if you see this file, you know it's installed. so you can make changes to the Apache configuration files. support is still experimental and is not recommended for production sites. Again, check for any error messages and install any files it identifies as missing. and then install PHP. Take a coffee break: this will take some time. worry вЂ” the warning is normal, and you can safely proceed with make install. script above), with one important exception вЂ” its configuration file, php.ini. you're using your Linux distribution's copy of Apache) in your favourite text editor. what file names to use when it looks for the default page for a given directory. you'll need to install the MySQL database as well. Click to pull down the Apple menu. Choose System Preferences from the menu. Select Sharing from the System Preferences panel. to launch the Apache Web server. Exit the System Preferences program. it. More likely, however, you are using the client version of Mac OS X.
mysql-version.pkg installation file, then double-click it to install MySQL. to make this happen вЂ” that's all there is to it! 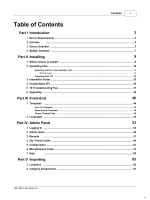 the installation procedurexviii (although in this case, it is somewhat out of date). Double-click the downloaded file to extract libphp4.so onto your desktop. Provide the administrator password if you are prompted. shell%echo 'echo "AddType application/x-httpd-php .php .php3"
provided for Mac OS X unless they differ from those for other Unix-like systems. user so that unauthorized users can't tamper with your databases. mysqladmin -u root password "your new password"
worry: this just means the password has already taken effect. should already have copied php.ini into the PHP lib folder (/usr/local/php/lib), or wherever you chose to put it. No php.ini on Mac OS X? in /usr/local/lib (which you may have to create). the section called вЂњYour First PHP ScriptвЂќ). your host and request any information you may need to access these services. the htdocs folder in the Apache installation directory unless you set it to something else yourself. Usually c:\php on Windows, and /usr/local/php on Unix. the MySQL server (they can be different). Be sure to ask for both sets of information. that includes the three client programs (mysql, mysqladmin, and mysqldump). Free packages are available for Windows, Linux and other operating systems. be similar to those you'll include in your PHP scripts to access MySQL databases. Windows, Linux, and Mac OS X.
a little something to whet your appetite. invisible .rtf file name extension. Learn to use the vi editor in a Terminal window or obtain an editor that can save .php files as plain text. move the file into the root document folder of your Web server software (e.g. shows what the output should look like. to know anything about it вЂ” the Web server does all the work! too long you'll know it like the back of your hand. Web server. Use View Source in your browser to look at the code of the page. of this chapter, or by your Web host. you it'll be a real eye opener! In Chapter 1, we installed and set up two software programs: PHP and MySQL. current date into a Web page every time it was requested. in the database for a list of jokes that you'd like to appear on your Website. along with the others when it fetched the list from the database. rows and columns form a table that looks like Figure 2.1.
we're ready to get started with MySQL. is called mysql and is located by default in the /usr/local/mysql/bin directory. host may support one, the other, or both вЂ” you'll need to ask. need to install a Web-based MySQL administration script onto your site. hosts will configure your account with a copy of phpMyAdmin for you. comfortable with your Web-based administration interface. line, ready to run the MySQL client program and connect to your MySQL server. MySQL user name they assigned you. this command (don't forget the semicolon! ), and press Enter. as it allows you to spread your commands out over several lines. you may want to cancel the current command entirely and start over from scratch. back to the prompt to wait for another command. semicolon, but you can use one if you want to. called queries (I'll use these two terms interchangeably in this book). that you're using. SQL is the language that you use to interact with that database. I chose to name the database jokes, because that fits with the example we're using. your database, since it will usually already have been created for you. Now that we have a database, we need to tell MySQL that we want to use it. as tables are so flexible, it takes a more complicated command to create them. column must be unique (PRIMARY KEY). which will contain text (TEXT). data of type DATE, and which cannot be left blank (NOT NULL). the same when they're used more than once in the same command. will contain integers, JokeText will contain text, and JokeDate will contain dates. within a column in powerful ways, as we'll see later. For a complete list of supported MySQL data types, see Appendix C.
you some indication of where it had trouble understanding what you meant. do, like adding some jokes to our table! by any string of text. at some of its more advanced features for later, when we need them. Having entered your data into a database table, you might like to change it. a decent-sized Jokes table вЂ” this knowledge will come in handy in Chapter 4! so, we used the MySQL command-line client to enter SQL commands (queries). to the basic features we'll explore here, this language has full support for communication with MySQL databases. by the server, hence the designation: server-side scripting language. you're using will be supported by your visitors' browsers. information stored in a MySQL database that runs on the Web server computer. to the Web server machine. a dual purpose. First, they indicate that echo is a function that you want to call. we won't type anything between them. Variables in PHP are identical to variables in most other programming languages. after the statement above, assigns a new value to our existing $testvariable. of this book to help explain what the code I present is doing. // Assigns a value of "Hi there!" variable names within the string. the second contains a number. use numbers, starting with zero, as indices to point to the values they contain. // Outputs "the fifth element"
and the server replies with dynamically generated pages. for a new Web page. PHP makes this fairly easy, as we'll now see. file that name equals Kevin. To really understand the results of this process, we need to look at welcome1.php. the page says "Welcome to our Website, Kevin!" part of a text string using the echo function. could easily leave security holes in sensitive scripts with it enabled. Secure Scripts with PHP 4.2!i at sitepoint.com. variables by separating each name=value pair from the next with an ampersand. Don't be alarmed at the slashes that appear in some of these tags (e.g. from the information the user typed into the text fields. long, and would exceed by far the maximum length of the URL in today's browsers. remains available in current versions of PHP for backwards compatibility. with PHP. I'll cover more advanced issues and techniques in later examples. already know that practical programs are rarely so simple. structures. Don't get it? Don't worry! A few examples will illustrate perfectly. $_REQUEST is not available in versions of PHP prior to PHP 4.1. // executed if condition is false. contain the name that the user entered. compare two values to see whether they're equal. which could cause all sorts of problems. a general familiarity with the if-else statement is sufficient. loop, after the closing brace. holds true. The third line simply outputs the value of $count followed by a space. $count = $count + 1вЂ”both will work). condition is checked, the value of $count is 1, so the condition is definitely true. 2 3 4 5 6 7 8 9 10 ". The condition in this example used a new operator: <= (less than or equal). works when comparing text strings, by the way. of opportunity to practice reading them. вќ‘ We need the name on every page of the site, not just on one. вќ‘ We have no control over which page of our site users will view first. for sharing variables between pages in Chapter 12.
the rest of this book. You're familiar with the echo function, but urlencode is probably new to you. thus the string output by echo) would be "Kevin+Yank". PHP would then automatically convert it back when it created the $_GET variable in newpage.php. page every time he or she visited our site. page of your site, don't fret; we'll cover a more practical way to do this later. prompt the user for one. the $_GET['name'] variable is not set. management system for your Website in PHP and MySQL. these two new tools together to create a true database-driven Website! of your site (the fancy graphics and page layouts) as "templates" in regular HTML. a table of jokes in Chapter 2вЂ”retrieve and display some content in its place. вќ‘ The visitor's Web browser requests the Web page using a standard URL. plug-in, before responding to the page request. database and request the content that belongs in the Web page. page is the output provided by the PHP plug-in. value. Here's an example of how we might connect to our MySQL server. a connection identifier, as no connection is established. Instead, it returns false. echo( '<p>Unable to connect to the ' . will evaluate to false, and the statements in the if statement will not be executed. any useful information without that connection. die( '<p>Unable to locate the joke ' . and then checks its return valueвЂ”exactly what we need to happen. followed by a call to exit, which is what we used for mysql_connect above. using the data stored in the database. with mysql_select_db, the connection identifier parameter is optional. die('<p>Error creating Jokes table: ' . that was sent by the MySQL server. echo('<p>Update affected ' . mysql_affected_rows() . die('<p>Error performing update: ' . mysql_error() . and PHP must provide ways to handle that information. returned from the query. False is still returned if the query fails for any reason. die('<p>Error performing query: ' . mysql_error() . in the database, that result set can be pretty big. in the result set, mysql_fetch_array instead returns false. out of the $row variable each time the loop runs. die( '<p>Unable to connect to the ' . you might want to try to figure this out on your own before you read any further. of everything we've learned so far. and $_REQUEST arrays created by PHP. echo('<p>Error adding submitted joke: ' . // add it to the database. die('<p>Error performing query: ' . // with the joke submission form displayed. echo('<p><a href="' . $_SERVER['PHP_SELF'] . existing jokes in, and add new jokes to, our MySQL database. вќ‘ You'll still be able to do it all in a single multipurpose page. with the request to delete a joke. The query string of the "Delete this Joke"
link is a perfect place to put this value. visitors to add jokes of their own to it. complex types of information, and give our visitors credit for the jokes they add! that we're deleting. To do this, we insert the ID value fetched from the database into the HTML code for the "Delete this Joke" link of each joke. DELETE statement that deletes the joke in question. // remove it from the database. echo('<p>Error deleting joke: ' . // with a "Delete this Joke" link next to each. '<a href="' . $_SERVER['PHP_SELF'] . '?deletejoke=' . $jokeid . '">' . functions, column types, and more. You shouldnвЂ™t be without this amazing, hands-on desk reference! Pick up your copy from sitepoint.com today!